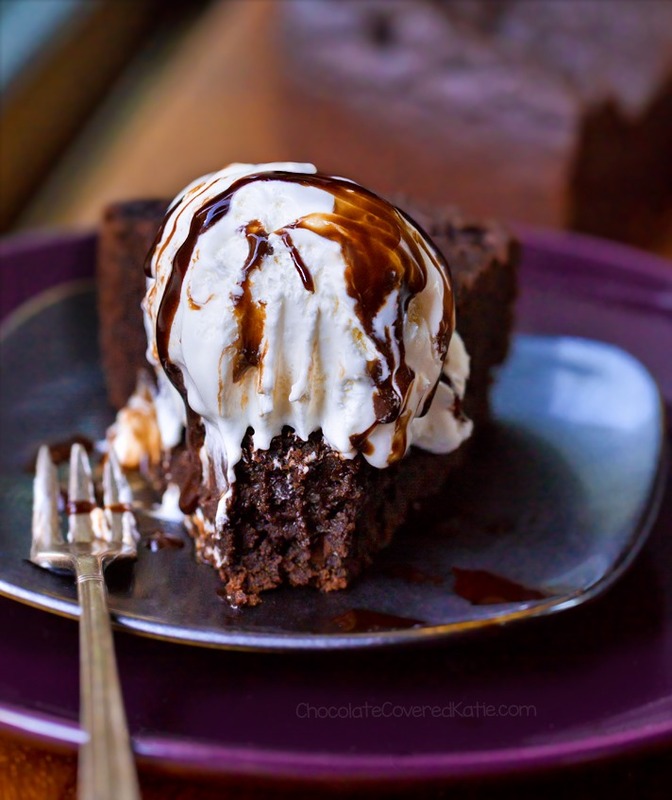 This fudgy deep dish chocolate brownie pie is seriously epic? It?s super quick and easy to make, and it tastes like a giant chocolate fudge brownie! The recipe was adapted from the famous Deep Dish Cookie Pie. If you haven?t tried that one yet, be sure to check out the above linked recipe, because it gets some of the best reviews of any recipe on my blog, even from people who are usually skeptical of healthy desserts. It?s one of the first things I recommend to people who are new to healthy or vegan baking and don?t know where to start. Okay so I just realized that only one of those things on the list isn?t ice cream. Apparently I really like ice cream. 1. Check off all of the ingredients as you add them, to ensure you don?t accidentally skip over one that?s easy to miss. 2. This pie tastes even better the day after it?s made, so I recommend not even tasting it until the next day, if you can wait!